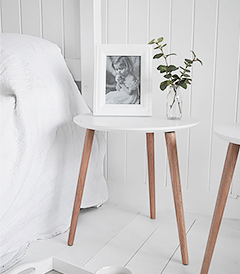 The Bethel Cove simple white table with three straight wooden legs. 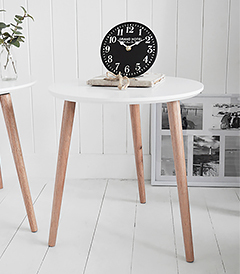 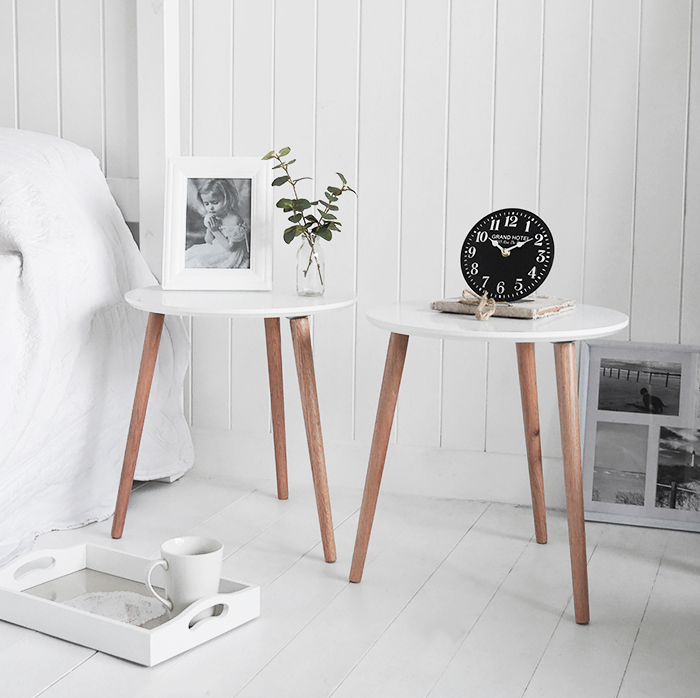 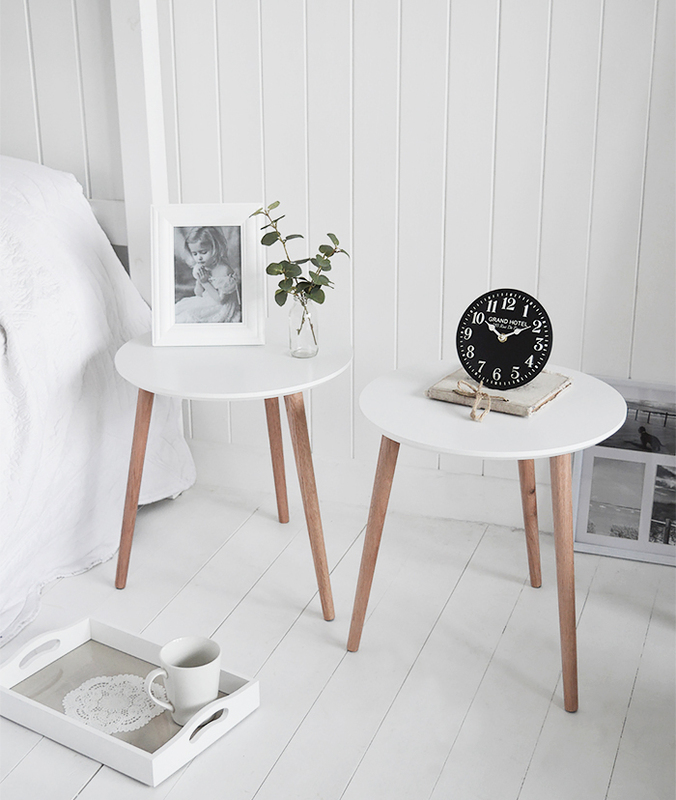 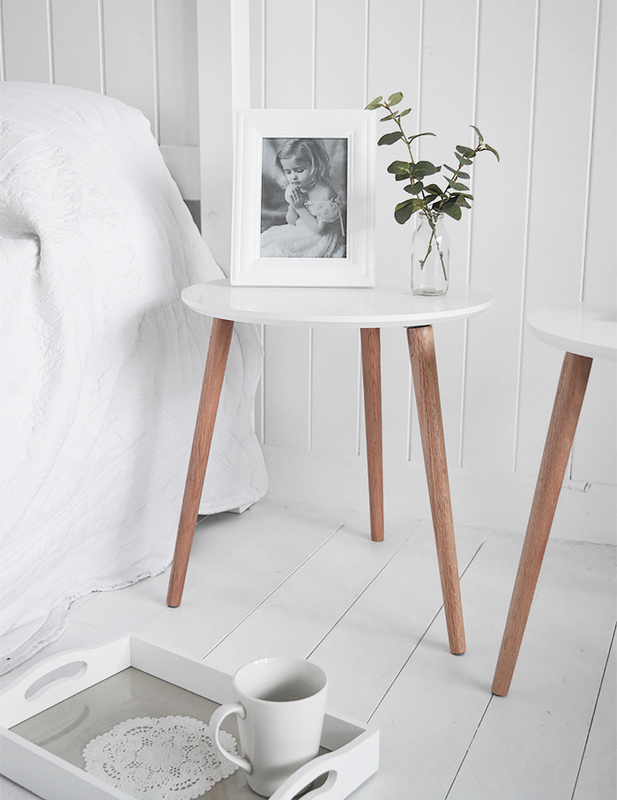 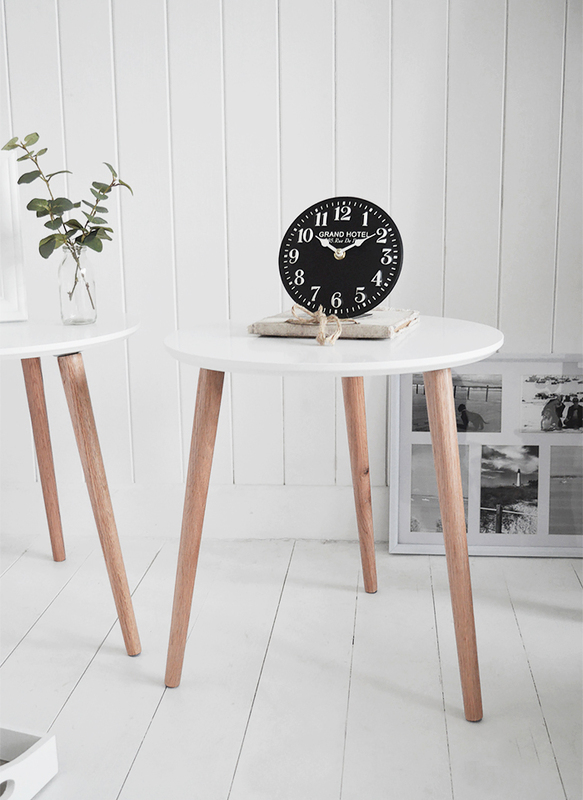 So elegant in simplicity, the Bethel Cove are ideal bedside tables in the bedroom or side table in the living room. 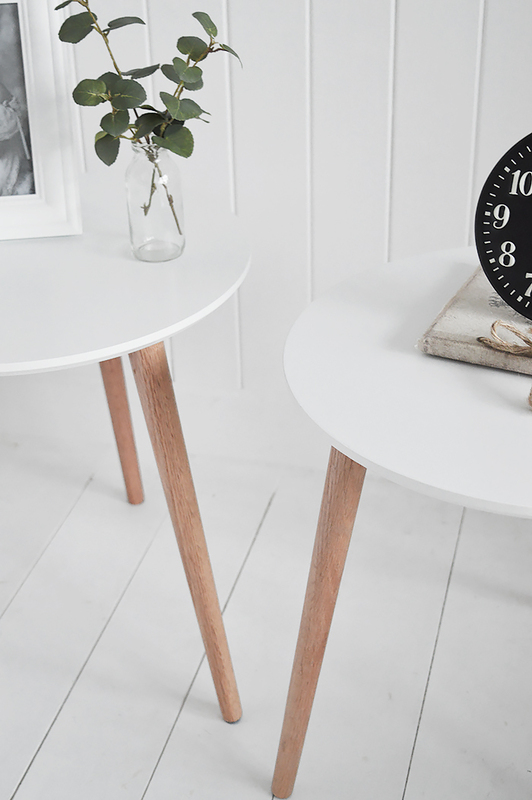 These tables have been specifically designed so they complement all styles of homes and will seemlessly blend in with all other types of furniture in the room.